Please call or e-mail StonesEtc.com to place an order for any of our products on this site. 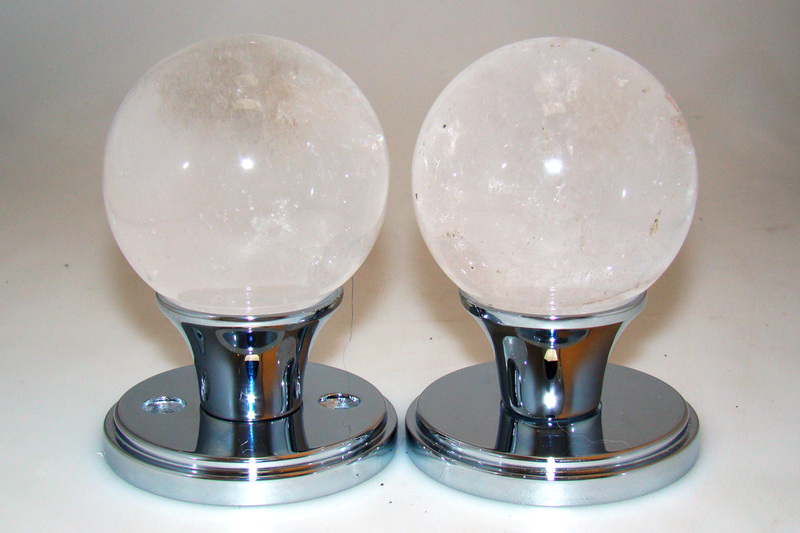 Crystal spheres available, each set will have some clear with clouds and natural fractures. 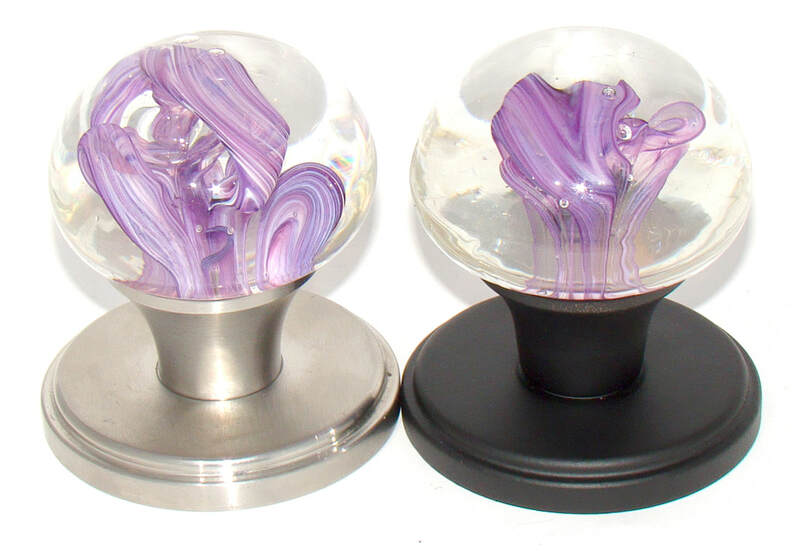 All are very nice spheres but NOT Myterra Gemstone quality. Shown on Polished Stainless Steel. 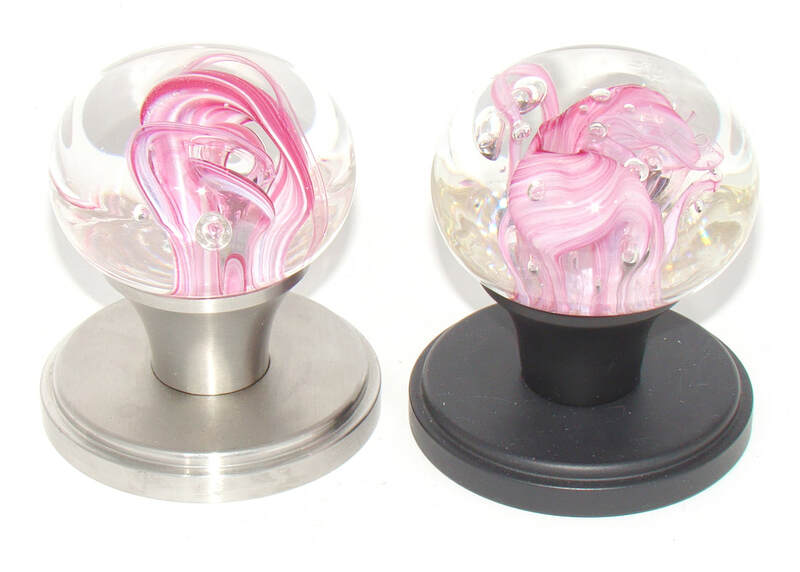 ​ We only have this finish in Passage door knobs. These are available at $60 each. These are just over 2 inches in diameter. 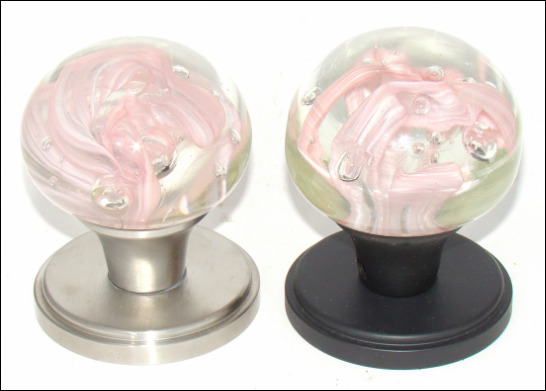 4 spheres available for door knobs in your choice of hardware finishes. Retail for our larger spheres is $300 a set. 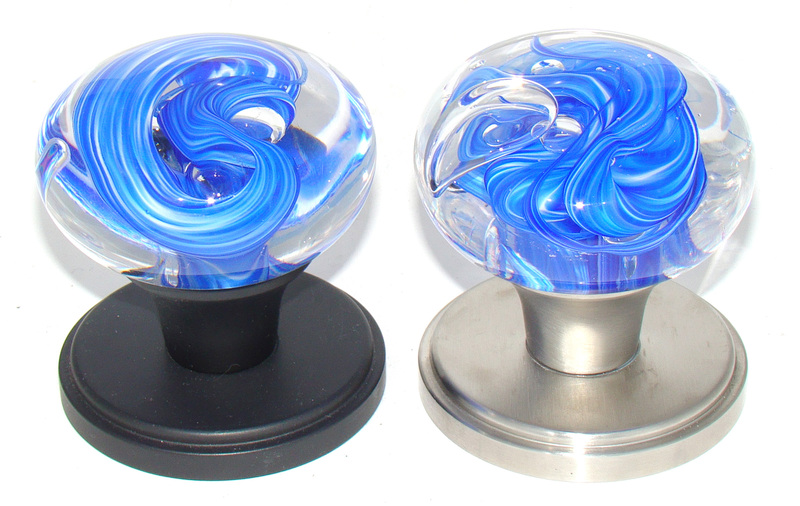 $125 Emerald Green & White Fluff Swirl with Bubbles -Privacy Door Knob of Art Glass on Myterra Matte Black Hardware. ​Only one at this price on Matte Black Hardware. Art Glass Special only one set available like this. Peruvian Septra is a fossilized crustacean similar to Septarian . Black stone with white fossil and some pyrite gold in them These are matched to size. $100 a door knob set in your choice of Myterra Matte Black or Satin hardware. 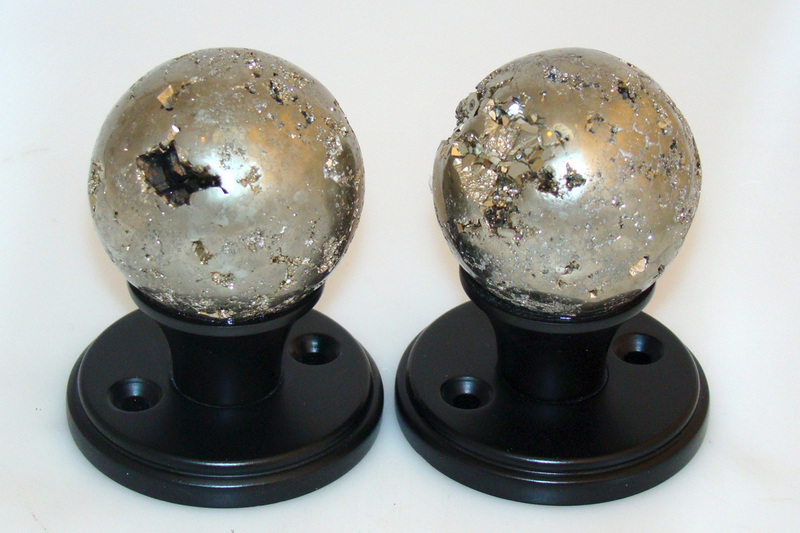 Smokey Quartz Door Knobs Sets $125 - Gemstone Hardware Smokey set retail at $300. These are nice quality spheres but we were sent larger spheres than we ordered. each is about 2 5/8" in diameter. They will make a statement were every you use them. 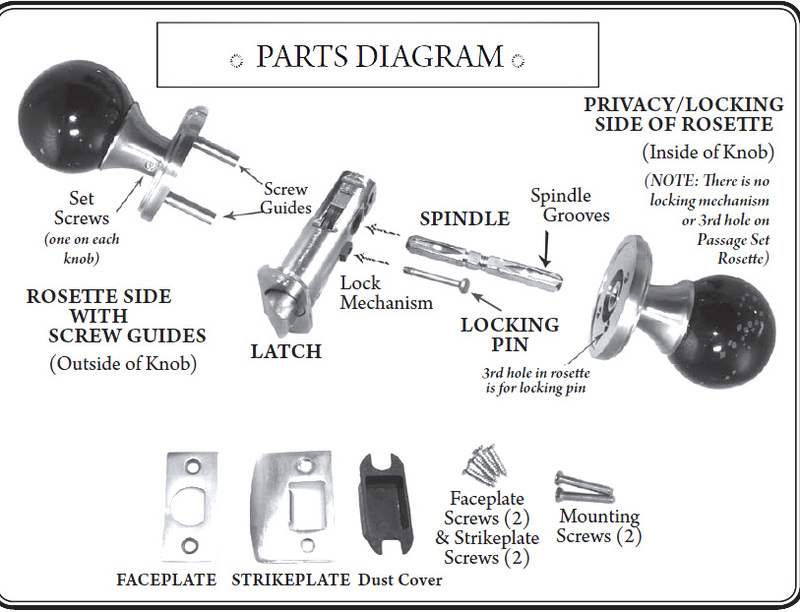 Choice of finish and privacy or passage door knob sets.